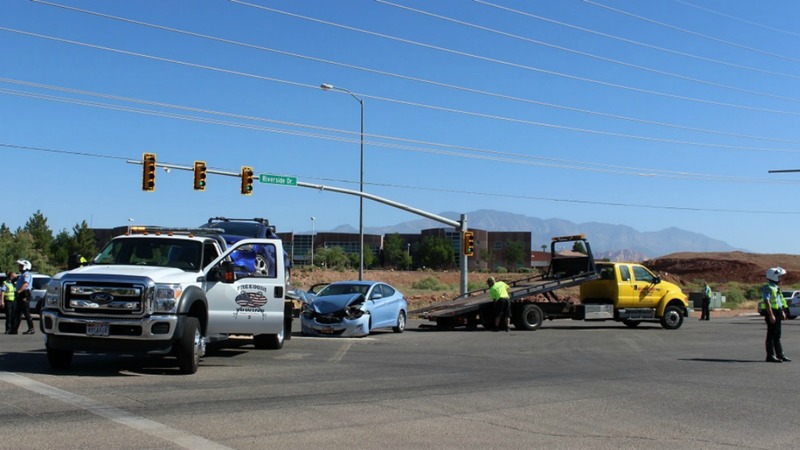 ST. GEORGE — A driver was transported to the hospital with minor injuries after she ran a red light and struck another vehicle Friday morning. St. George Police officers were dispatched to the scene of the crash at the intersection of South Mall Drive and East Riverside Drive shortly before 10 a.m., St. George Police Officer Ken Childs said. The T-bone collision involved a man driving a dark blue Ford Focus and a woman driving a light blue Hyundai Elentra, the officer said. During the investigation into the crash officers determined that the man driving the Ford was traveling south on Mall Drive and was stopped in the middle of the intersection of Riverside Drive waiting for traffic to clear. “He had the right-of-way and a flashing yellow light as he waited for oncoming traffic to clear before making the turn,” Childs said. Just as the man was starting into the turn his car was struck by the eastbound Elantra that failed to stop at the red light, and the force of impact sent both cars spinning in the middle of the intersection. Both drivers were wearing their seat belts at the time of the crash. 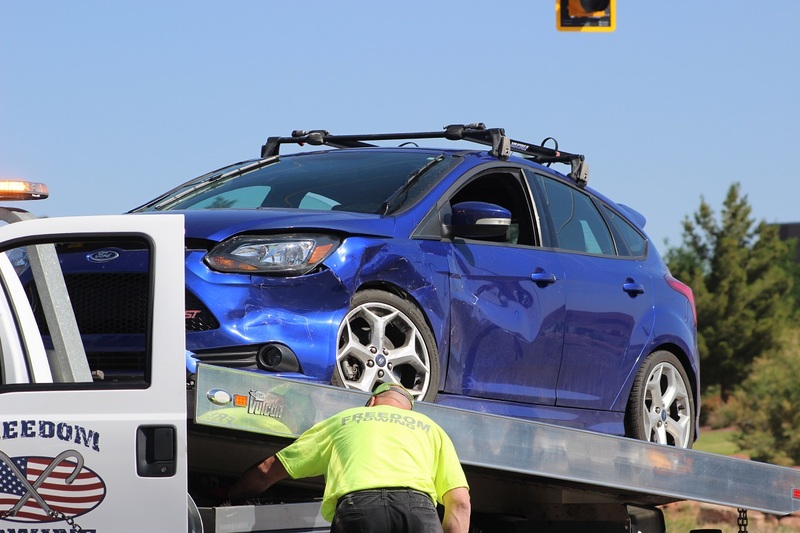 The Ford and the Elantra were extensively damaged and towed from the scene. The woman driving the Elantra reported she was injured in the crash and was transported to Dixie Regional Medical Center by ambulance. “The woman was transported with non life-threatening injuries, she suffered minor injuries when the airbags deployed and was shaken up,” Childs said. The man in the Ford told officers he didn’t want to be transported to the hospital by ambulance, Childs said, but that his wife was taking him to the emergency room instead. 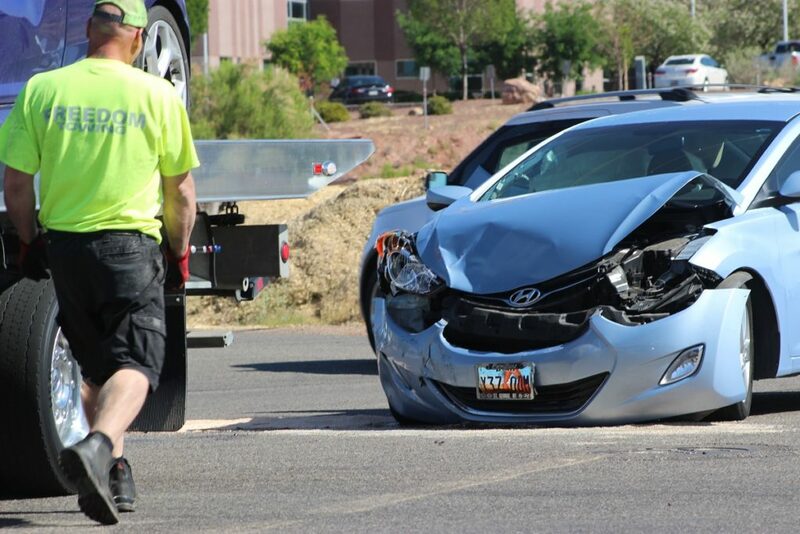 The woman driving the Elantra was cited for failing to obey a traffic control device. 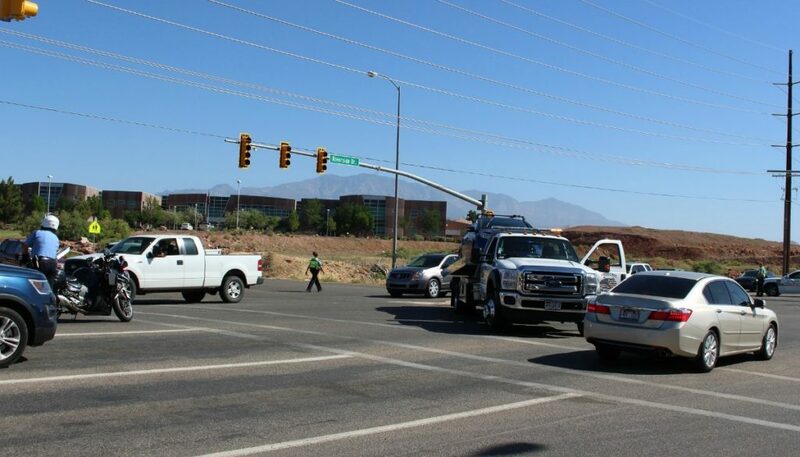 St. George Police Officer Dave McDaniel said he noticed several drivers that failed to slow down as they approached this particular crash scene, adding he has noticed that same driving behavior at other crash scenes as well. “Rubber-necking” while driving by a crash poses risks, the officer emphasized. “Drivers need to slow down when they see a crash up ahead because it makes the scene more dangerous for everyone when drivers are going around the crash and don’t reduce their speed,” McDaniel said. Wow Comments has no comment about how she must have been distracted by a cell phone or some other hand held device… I’m amazed!!! The distraction mentioned in the article needed to be addressed. RUBBERNECKING! Get it together people, completely moving your eyes around your head like a chicken is worse then looking down at your phone. I’m sure there is an offense there. Woulda been a good time to hand out some tickets. Still scared he’ll pull over someone from the ward?